Peter Dawson was one of the most famous and prolific recording artists of the century. His career began with Edison cylinders in 1904 and ended with an LP in 1955. He is said to have made 3500 recordings. Melba Recordings' Floral Dance, is a modern recording of Dawson hits - perennial favourites still played in Britain and Australia. Dawson was, in his own way, the male equivalent of Melba - the Australian-born singer who built a giant reputation in Europe. Peter Dawson fan-clubs still exist in Britain. He was also a 'crossover artist' on a scale not dreamt of by Pavarotti and Domingo. His repertoire offers a singular insight into the zeitgeist of the of the British Empire’s last hoorah. Peter Dawson is big at our place – once a year! It happens at Christmas. First we do the carols, working our way through whatever collections are at hand. With piano,and sometimes also organ, flute, recorder and several loud voices. Then when the carols are all done out comes the sheet music for The Road to Mandalay (Track 19); The Holy City (Track 12); Floral Dance (Track 1); Waltzing Matilda and Jerusalem. Greg Yurisich tells me that it was the same at his place. That is how he became familiar with that part of the Dawson repertoire that fits best in the family sing-song around the piano in the drawing room. We never try the Schubert ort the Mozart. But, as one wise man once said, if a thing is worth doing it is worth doing badly. There is a part of the extensive Dawson repertoire that is definitely worth doing badly. The old ballads, sentimental, religious, patriotic and humorous songs are cherished and preserved by a dwindling band of do-it-yourself musicians and I had an urge to hear them done really well. Peter Dawson tailored his singing technique to the gramophone in its most primitive form. By the time technology improved he seems to have been set in his ways. His electrical re-recordings of his most popular hits are no different in vocal technique from the style of the cylinder or acoustic disc original. I wanted to hear his marvellous repertoire sung by a baritone not inhibited by technical limitations. There was a gap in the record catalogue that needed to be filled with a modern recording, by ‘first class artistes’, bringing to life for our era the Dawson songs: Phil the Fluter’s Ball (Track 2); Drake’s Drum (Track 14); Song of Australia and The Lost Chord (Track 18). This new recording of the songs Dawson made famous stands alongside his own records, many of which are still available on compact disc. It is not an attempt to make a facsimile reproduction of his style, but it might be regarded as an indication of what he could have achieved if he had had the opportunity and the technology. From now on we might think of the Dawson recordings as ‘authentic period performances’ and this new disc as the ‘modern instrument recording’. There is room for both in the catalogue. In spite of Peter Dawson’s misgivings about the family musical evening, we will go on doing it at our place. You should hear us doing the Floral Dance! S trolling up Sanger Street towards Corowa's School of Arts Hall, Peter Dawson felt the heat of a particularly hot summer. Dressed in a heavy black suit, with the mandatory tails and a snowy starched ‘dickie’ shirt, it was his suit and not his stocky figure or his genial, later familiar face, which marked him out as a visiting celebrity. This was his first trip back to Australia after a decade in the UK where he had studied with the likes of the great English baritone, Charles Santley and the Russian, Professor Kantorez. Already he had a considerable reputation as a concert and recording artist. Dawson was not the principal artist on the tour. That place had been reserved for Miss Amy Castles, the amazing prodigy who had gone to Europe at the end of 1899 – about the same time as Dawson – accompanied by hopes that she would attain the highest honours in opera singing, supplanting the then reigning Australian Queen of Song, Nellie Melba. It was not to be. Amy had neither the technical polish nor the steely determination required to step into Melba’s shoes. Australians however, followed her career with unprecedented fascination and flocked to her concerts feeling that they were participating in the discovery of the new Melba, listening to Amy’s naturally rich vocal tone. She had been given a massive reception in 1899 and another when she returned home in 1902. This time, touring with a man who was arguably already more established, more certain of an enduring place in the Australian musical pantheon, Amy’s managers were taking a risk that her polish, style and technical ability might be compared with Dawson’s. Generally, that is what happened. Country newspapers, overawed by operatic arias heard infrequently in the Mechanics Institutes and Masonic Halls of regional Australia, found enough in Amy’s singing to astonish them but settled their favour on the homely ballads, the patriotic songs and the rich, fruity sounds of Dawson’s bass-baritone. In some places they expressed their preference unambiguously: Dawson took the laurels, regardless of the fact that many country newspaper concert reviewers allowed their unfamiliarity with what they considered the more ‘high class’ repertoire of Miss Amy Castles to cloud their judgement. Clearly audiences and reviewers alike preferred Home Sweet Home to Caro nome. In fact, Dawson gave them both slight, cheerful songs and monumental arias from the great 18th century oratorios. Well-schooled in ballads that expressed the spirit of British national and imperial confidence, qualities that were universal in the later 19th century, Dawson played to predictable emotions. His audiences rallied to the heartiness expressed in Old Father Thames (Track 11), Glorious Devon (Track 10) and Drake’s Drum (Track 14), songs imbued with an indomitable spirit of British-ness. In 1909 the list included songs that showed off the lower, darker reaches of his voice: Handel’s O Ruddier than the Cherry and Rocked in the Cradle of the Deep. Songs from contemporary musicals always found favour with listeners and occasionally Dawson demonstrated that he could sing character roles with distinction. There is little scope for characterisation in A Bachelor Gay (Track 15, from Maid of the Mountain) but rather more in The Cobbler’s Song from Chu Chin Chow. 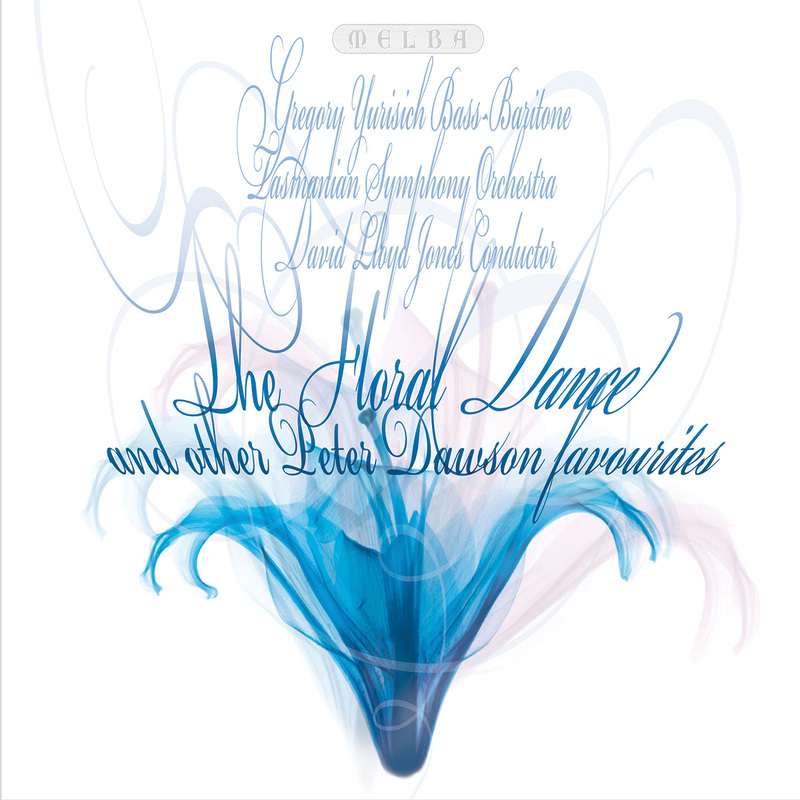 Both of these have remained popular and have, like the Floral Dance (Track 1), become quintessential Dawson. There were the sentimental parlour ballads Sincerity and Little Grey Home in the West. For a short time he appeared in vaudeville under an assumed name in order to disguise the fact that he was really an aspiring singer of serious music. He invented a Harry Lauder look-alike and called him Hector Grant, singing disarming parodies of the type of Scot parodied by Lauder. His preference for the concert platform remained, regardless of the pressure of a handsome weekly salary and a long contract to continue the Hector Grant ruse. Oratorio was a serious business and not usually the domain of vaudeville artists and he wanted to be a serious singer. For Dawson, singing, that is vocalising, was more important than characterisation and it was the Handelian aspect of his musicality that seemed to provide a way forward; a path to fame and fortune. His voice suited the more bellicose Baroque arias, such as Why Do the Nations and Arm, Arm ye Brave. Often well-known solos from Handel’s oratorios and operas helped to display Dawson's vocal skills. I n addition to a richness of tone throughout his extensive range, Dawson’s diction was often praised. Today his numerous sound recordings provide evidence of what his contemporaries heard and admired. In his memoir, Fifty Years of Song, he proudly declared that he was especially careful about the sounds of English and other languages, carefully preparing material before he used it. He had, after all, fooled everybody with his Scots accent, including, by his own account, Harry Lauder. Prior to concerts in New Zealand and the delivery of pieces such as Alfred Hill’s Waiata Poi song in the Maori tongue, he diligently studied the unfamiliar sounds and the different patterns of foreign languages. The same was true of the sounds of the Irish dialect, although the resulting accent, as it has been recorded, is distinctly ‘stage Irish’. Phil the Fluter’s Ball (Track 2) or Mountains o’ Mourne are typical of the parlour-Irish songs he performed and recorded and they remain popular. But it is his clarity of diction, regardless of the mimicked dialect that he produced that remains a hallmark of his singing. One of the things that helped to sustain Dawson’s popularity into the middle part of the 20th century were his songs, often marching songs, of the British Empire. Some of these songs were repertoire likely to be found in the average and extremely common Australian domestic piano stool: When the Sergeant Major’s on Parade, On the Road to Mandalay (Track 19) and his own setting of the Rudyard Kipling poem Boots. In the days before the arrival of television, the connection between a generation that sang such songs around the piano and the principal Australian exponent of those songs helps to account for the affection in which Dawson was held. The decline of Empire Day observance, simultaneously, as it happened, with pervasive television broadcasting, together with other overt celebrations of Australia’s British past a generation, raised on such things in the first half of the century, continued to enjoy Dawson's unashamed and jingoistic attachment to the ‘Old Country’. But such allegiance did not prevent him discovering and performing Australian material. Whalin’ Up the Lachlan, The Lights of Cobb and Co and Lassiter’s Last Ride were three unashamedly Australian songs. Dawson appropriated the Six Australian Bush Songs by W G James, his recordings of them doing much to establish their popularity at a time when Australian compositions were not often valued and, perhaps more importantly, not often performed. Sprinkling such repertoire into his concerts helped to consolidate a sense of his own nationality. He felt strongly about such things. In Fifty Years of Song he devoted considerable space to bemoaning the fact that Advance Australia Fair was being promoted at the time (c.1951) to replace Song of Australia. He established a pedigree for the latter, which has a much better tune than Advance Australia Fair, claiming that Song of Australia had been voted the national Australian song as early as 1859. Dawson was clearly correct about the musical quality of the song he chose to defend, but there might be another dimension to this enthusiasm. He was also a proud South Australian, having been born in Adelaide in 1882. Song of Australia was the product of two South Australians. Its words are by Caroline Carelton and its music by Carl Linger. Dawson was sensitive to criticism of his selection of repertoire. During the 1909 Australian Tour he was challenged to sing more serious songs, especially German Lieder. He had not routinely included such things in his concerts. Neither had there been much popular opera other than the Handel mentioned above. He recorded and occasionally sang Your Days of Philandering Are Over (Non piú andrai from The Marriage of Figaro) preferring to make citations of it in Italian. In Fifty Years of Song it is given as Non frin Andrai (sic). He also recorded the Toreador’s Song (from Carmen) and Largo al factotum (from The Barber of Seville) but the reality was that he had virtually no career in opera; a few appearances in an opera chorus in London, but nothing else. He is reported as having said that the financial returns from opera did not warrant the effort needed to present it effectively. It was a strange attitude from one who cannot have failed to note the successes and rewards of the super wealthy Australian divas, especially Melba and Frances Saville. However, he nursed no sustained ambition to become an opera singer. Accompanist Gerald Moore in a waspish commentary in his memoirs (Am I Too Loud) concluded that Dawson lacked the intelligence required by anyone aspiring to be a great opera singer. This seems spiteful, a view supported by Moore’s second autobiographical memoir (Farewell Recital) where evident affection is seriously qualified with stories of drunkenness, including one of Dawson falling 'flat on his face' on the concert platform. Some accounts of Dawson’s life and career speak of 2,500 songs and the production of more than thirteen million recordings. His recording career was one of the largest, if not the largest of the first half of the 20th century. It commenced in 1902 and finished in the 1950s, traversing a technology that commences with the ‘low-fi’ wax cylinder and finishes with the arrival of stereo. In addition to this unique recording career there were numerous concert tours in the UK and Australia and yet in March 1950 Dawson declared himself ‘broke’. It was the result of a mixture of poor contracting and small returns from hugely successful sound recordings blended with badly managed income tax arrangements in the UK and Australia. Some lines from one of his perennials, Old Father Thames (Track 11), seem apposite here. The River ‘never seems to worry’, never ‘cares for fortunes fame’, never ‘seem to hurry, / But he gets there just the same’. There is something in this encapsulation of an approach to life and career that touches upon Dawson’s personal plight. After 1950 he became, in some respects, the Sir Walter Scott of concert performance, forced to labour on to clear his debts; forced to continue singing until 1958when illness forced him off the concert platform. It was an unfortunate conclusion to a mostly satisfying career. The evident enjoyment of his craft shines through the recordings he left and must have been a factor in success with audiences. He was a man of simple tastes, but without the necessary business acumen to provide for a comfortable retirement as Nellie Melba so wisely did. Those who heard him in those later years thought his voice still powerful, his ability to find gradations of tone and musical nuances still evident. He enjoyed what he sang and he enjoyed singing, and his success was due in large part to this convincing spirit of engagement. And the quality seems to have transferred to sound recordings. More than anything else he chose to remain genial and straightforward, simple and unaffected. Melba was expected to be a prima donna; a temperamental diva. Dawson was more down to earth, enjoying a beer and cigarette and the company of blokes. Even Gerald Moore, after noting Dawson's small stature, praises his sense of humour and his propensity to indulge in practical jokes. The 1909−10 Australian Tour exposed many Australians to the voice and the personality of the man who, more than any other, would come to stand for those musical qualities of Australian British-ness that were highly valued at the time. The Tour established his name and when he returned as the principal of his own touring company in 1912−13 he was at the beginning of numerous similar tours where he was the undisputed star. In 1909 supporting Amy Castles − whose singing, in the pages dedicated to that tour in Fifty Years of Song, does not draw a single descriptive adjective or superlative − Dawson might have been restricted by the demands of the managers of the tour, the Tait Brothers. If so, he followed their lead later. Programs from his second tour do not reveal major changes in repertoire. The Prologue from I Pagliacci, Moussorgsky’s (sic.) Song of the Flea and Hybrias the Cretan replaced the former Handel pieces and were mingled with Little Grey Home in the West and Katie Moss’s ubiquitous Floral Dance. His 1909 resolution to sing programs of Lieder was quietly abandoned. Dawson took few risks; his songs were safe, unprovocative fare for his audiences; his singing easy, unforced and enjoyable. Peter Dawson’s recordings, as far as I can tell, have never been out of print. That the people of Corowa and other Australian towns were exhorted to come and hear the voice they already knew so well is evidence of just how early the phonograph and gramophone had colonised Australia, but also how quickly Australians mastered the medium. When shellac discs were superseded by vinyl microgroove recordings, Dawson’s shellacs were duly transferred. There are now several compact discs of his performances. A one-man stage musical has kept some aspects of his career before an interested public. But more telling, perhaps, than any of this is the fact that when a television producer or a radio broadcaster needs to characterise the British Empire in song it is not usually an English singer who is chosen. It is likely to be Australia's Peter Dawson who has become the most distinctive and recognisable voice of late Victorian and Edwardian times. Striding up the Sanger Street in Corowa he might have imagined a future filled with challenges and goals that would extend his musicianship. He might have thought of the Amy Castles Tour as a beginning. In effect, it consolidated his idea of what he might do and what he enjoyed. For Dawson that was more of the same, more of the things for which audiences clamoured for at home and abroad. Satisfaction came from the certain knowledge that he was unbeatable at what he did and essentially unchallenged by any serious rival in his domain. He understood what worked and was contented with his lot. He listened to the responses of those who came to hear him, noting wishes and was happy to comply.